My toddler is ever excited about the planets and galaxies. And Sun is his favorite. So we did a quick simple fork activity together which put his small muscles of the hands (fine motor skills) to work. Trace a circle in the middle with a recycled lid. Tracing is a great activity for improving fine motor skills. Color the circle with yellow and orage crayons. Dip the fork in orange paint and press on the circle border. Revolve the paper round as you proceed and make fork marks all around the circle. It looks like sun rays. 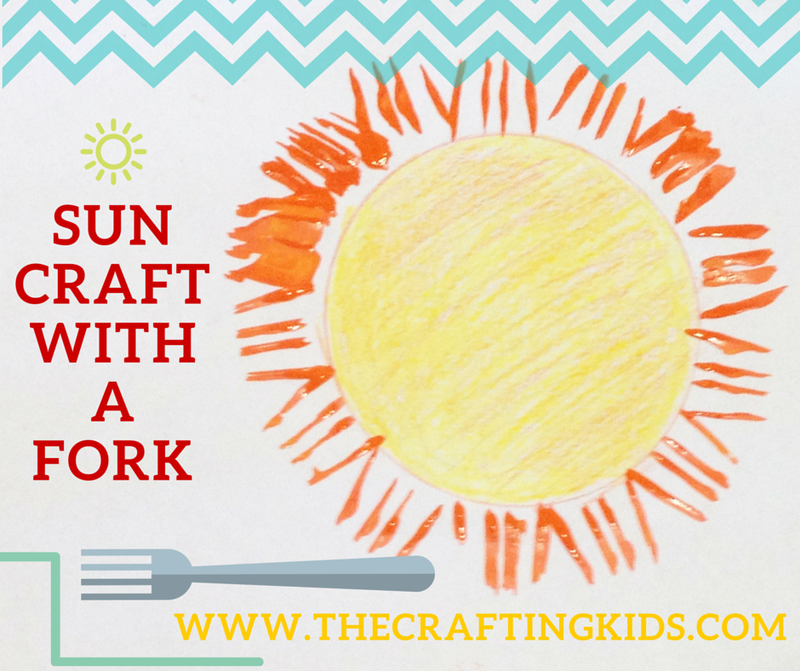 Use of fork makes this such a easy and fun craft! All you need is paint and fork! HAVE YOU MADE ANY FORK CRAFT BEFORE? SHARE IT WITH ME ON FACEBOOK!